EXTRA SHARP!!! FACTORY WARRANTY!! LIFETIME PROTECTION! WOW!!! Priced at an INCREDIBLE VALUE, THOUSANDS BELOW BOOK, don't miss out on our 2017 Chevy 2500HD LTZ Crew Cab 4x4. 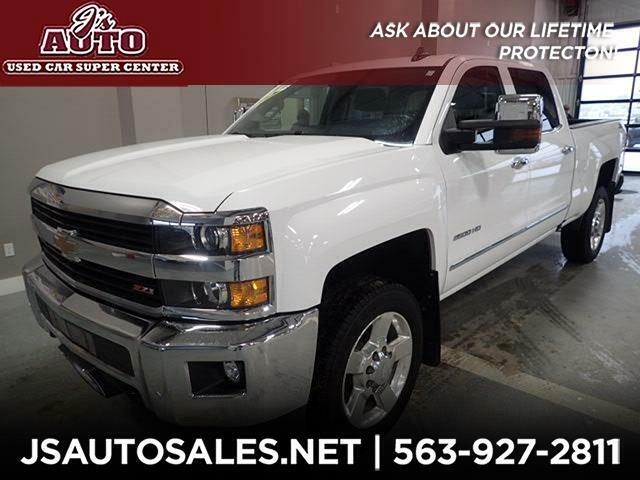 Only 31,699 miles and TONS of great options, like remote start, dual climate controls, heated AND cooled leather, power folding mirrors, 20-inch alloy wheels, even NEWER TIRES- A VALUE ALL ON THEIR OWN. You also get remaining FACTORY WARRANTY, plus when you regularly service with us, we INCLUDE our LIFETIME protection plan. Call or email our trusted, locally owned & operated dealership, here at J's Auto TODAY!